Eves of Chennai! 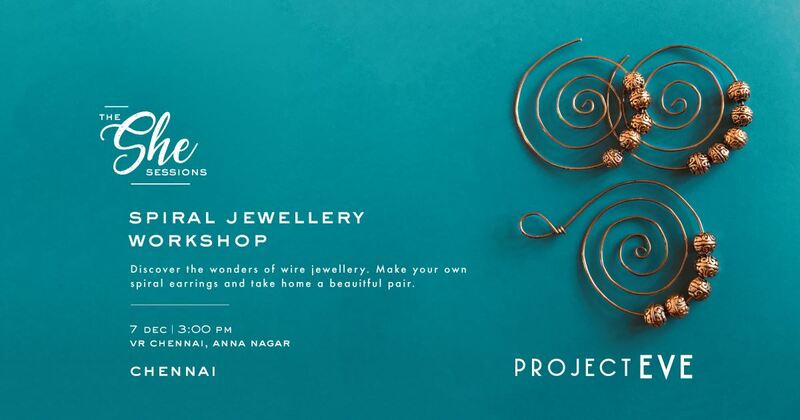 Learn how to make unique spiral jewellery using nothing more than wire and round nose pliers. From earrings to pendants, learn the techniques and various designs from the experts of the craft. Limited capacity event. Materials provided. No entry charge.